Vlatka Horvat’s artistic activities have roots in the performing arts and she works with references to both early performance art and Arte Povera from the 1960s and 1970s. Horvat’s artistic project is process-oriented; she conducts repetitive investigations of spatial properties and relations. At Bergen Kunst­hall the artist continues with her well-tried artistic strategy where the method is to pick existing things apart: to cut away, fold/bend or weave together photographic, textual or physical elements. This way she creates new, fictional possibilities for exploring the relations between space, body and object. 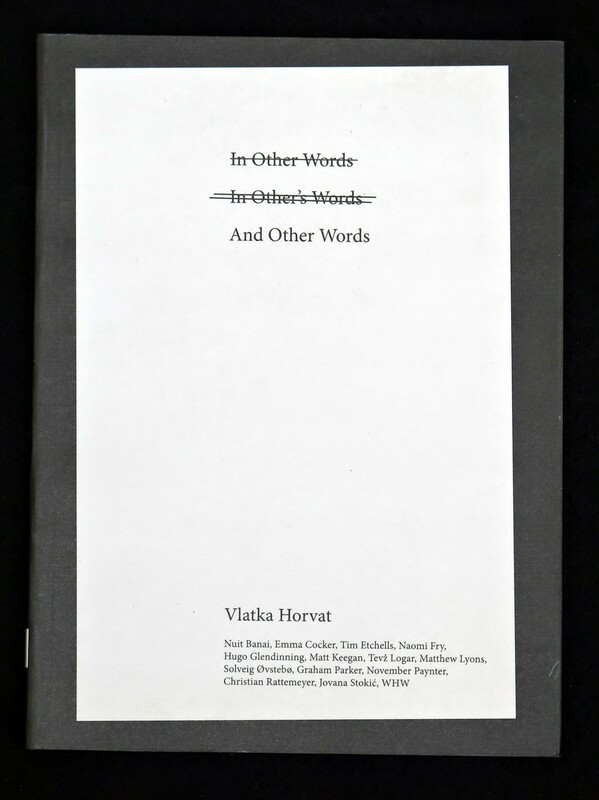 For this exhibition catalogue Vlatka Horvat has invited curators, artists and writers with whom she has collaborated to pick out one of her works and write a brief textual contribution to the catalogue. The artist has then selected pictorial material that enters into a dialogue with the texts. The result is a com­pen­dium with documentation of Horvat’s artistic output and others’ related reflections. 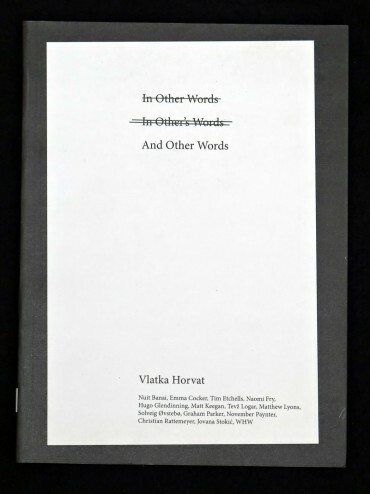 The publication can equally well be read as a notebook presenting various tendencies surrounding different readings of Vlatka Horvat’s works. In this way the catalogue becomes a natural extension of the artist’s other pro­duction. The book makes room for reflections and new angles of approach that shed light on the selec­tion of works presented.